Behavioral health professionals and agencies have a wide array of reporting requirements and mandates to manage. Sano puts built-in features to work that help you comply and streamline the entire process. Gathering information for reporting and to comply with various audits should not create extra work or stress. Sano’s design philosophy ensures this information is collected and organized to streamline these activities as part of the regular operations in your agency. 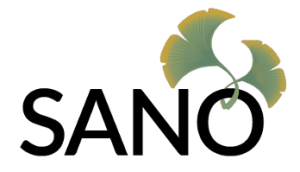 The Menon® Sano™ Electronic Health Record system makes compliance and reporting needs integral to the work processes of behavioral health counselors and other agency staff. It’s been designed from the start in light of HIPAA, CARF, electronic billing, electronic signature, and a wide range of state reporting requirements, such as TARGET. With more than 20 years in healthcare IT, the Sano development team brings the expertise needed to manage the complex reporting and compliance needs of behavioral health. Copyright © 2019 Menon Group, Inc. All rights reserved.